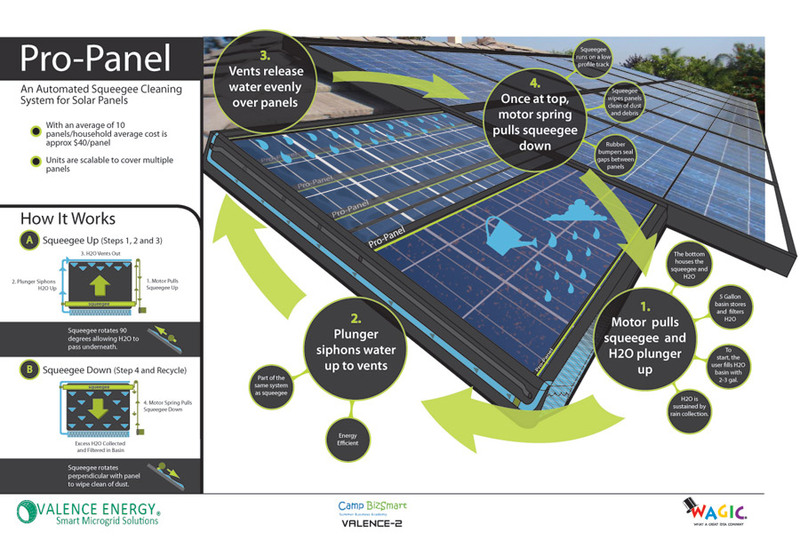 Dirt can reduce the output of solar panels by as much as 10%, greatly reducing the economic viability of the technology. Create an economically efficient solution to this problem so that home solar systems remain dust-free. Determine an economic solution that reduces the issues of dust. 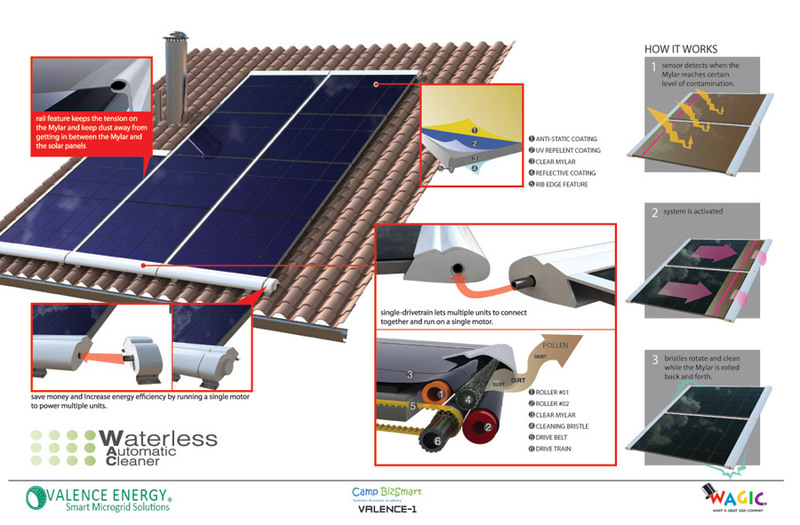 Increase the efficiency of the solar panels by at least 5%. Show a positive rate of return by implementing this solution. Cost should not exceed $0.20/watt. Any technical solution must fit the 3 feet by 4 feet design of the panels. Must be durable, weatherproof, and easy to manufacture/install. Must meet standard OSHA safety protocol. Create a prototype or conceptual drawing of your solution using the expertise of WAGIC and Cisco. Consider technological and non-technological approaches to arrive at the most cost-effective solution. 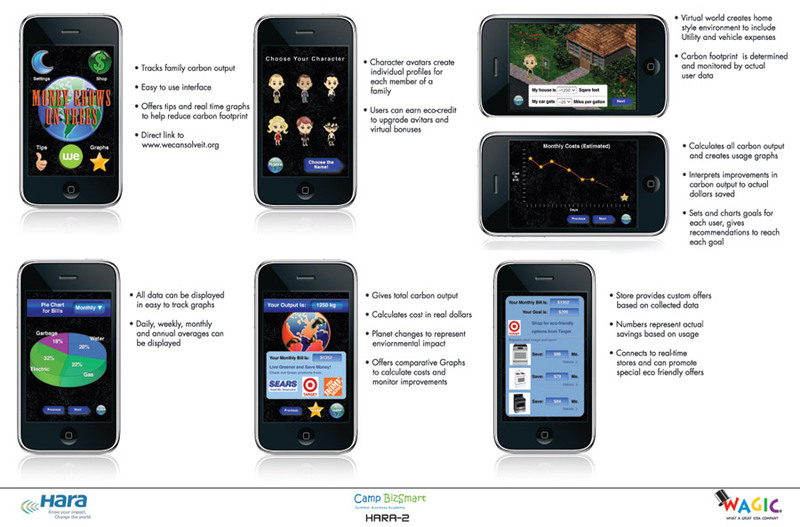 Design a fun and user-friendly iPhone app or game that measures an individual’s energy use and carbon footprint in everyday activities, and uses that data to encourage a more energy-efficient lifestyle. 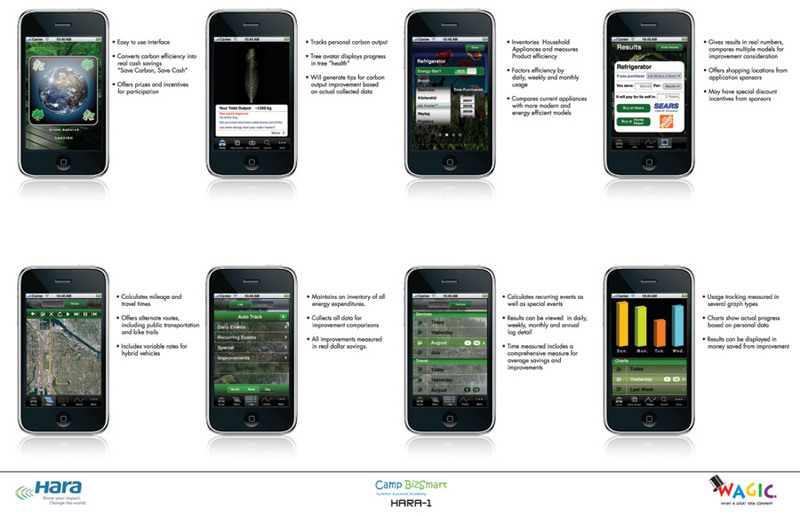 Create an app that logs daily activities and calculates related energy use and carbon impact. The app should provide clear alternatives, along with associated costs or cost savings, to motivate people toward making more energy-efficient choices. The app should chart progress in achieving efficiency goals. Design a marketing plan to get the word out to 100,000 potential users in 2 weeks. Design an app prototype without the code (e.g., by using iRise.com). Must cost less than $1,000 to develop. Must launch within 4 weeks. Use WAGIC to create screenshots demonstrating how the iPhone app would work. Pre-teens and teens are drinking large quantities of unhealthy energy drinks that contain high levels of caffeine, sugar and other short stimulants, which both cause a short term spike and crash and are contributing to health problems like obesity and diabetes. 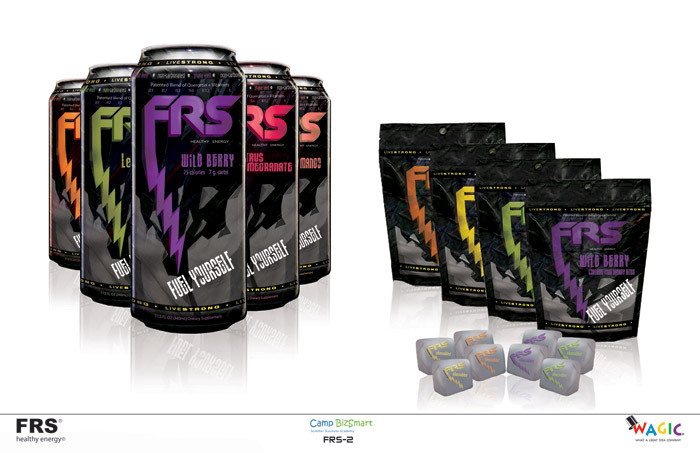 Build awareness, consideration and trial by pre-teens and teens that FRS Healthy Energy is a healthier source of sustained energy compared to current energy drinks like “Rockstar”, “Monster” and “Red Bull”. Differentiate FRS from regular energy drinks by communicating that FRS is a different kind of sustained energy that uses quercetin, a powerful antioxidant found in fruits and vegetables, rather than just caffeine and sugar and is backed by real science and authentic athlete usage. Budget: Leverage free social media plus $50,000 plus 100,000 cans or bags of 4ct chews. Campaign to go live in 3 months or less and run through end of school year. 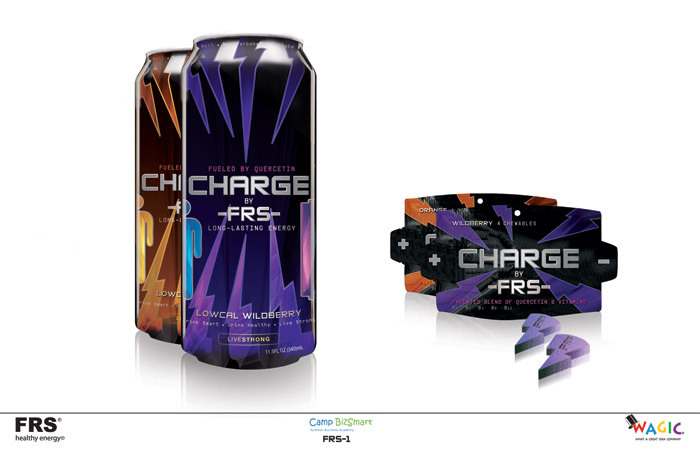 Focus on the ready to drink can and 4 bag chew versions of FRS. Description of product and benefits must be accurate and scientifically sound. Develop a creative concept that communicates the benefits of FRS to pre-teens and teens in an engaging and meaningful way – create mockups of the creative for display purposes. Develop a national marketing plan that reaches at least 1 million pre-teens and teens and drives trial of FRS by at least 100,000 new users. Plan should include a budget and show how many impressions and/or how much product each program delivers. Today’s classrooms are inefficient and outdated. Design a best-practice model of an innovative high school modular classroom that provides a comfortable, engaging, and inspiring environment for learning, and minimizes daily operational energy costs. Design and create the smart classroom of the future to enhance learning. Use materials to control sound and temperature. Because lighting is the single biggest energy cost, use a mix of natural and artificial light to reduce costs. Reduce energy costs by 30% compared to traditional classrooms. Design a simple method to continuously monitor cost savings engaging students and staff. Design a strategy to educate and inform the public about the benefits. Cost must not exceed $150.00/square foot. Space must not exceed 960 square feet. Fully comply with Santa Clara County building codes. Time to build is 3 months. Achieve LEED and CHPS certification. Create a classroom prototype that utilizes Serious Materials products, and elements from other complementary companies like Cisco. Utilize expert support from WAGIC’s team and Ken Hawthorn.